Alaska contains 365.5 million acres of land, 28.8 million acres of fresh water lakes, rivers and ponds; and 6,640 linear miles of coastline. About 88% of the state is in public ownership and many areas are set aside to protect their natural features including a wide variety of fish and wildlife habitats. These conservation areas vary in their specific purposes and include state wildlife refuges, sanctuaries, and critical habitat areas, and waters important to anadromous fish; as well as other areas such as state parks; and national wildlife refuges, parks, and preserves. Many of these protected lands and waters also provide opportunities for hunting, trapping, fishing, gathering of wild resources, photography and wildlife viewing. They are also important for preserving Alaska’s lifestyles and economic opportunities. The Alaska State Legislature has designated 32 state game refuges, critical habitat areas, and wildlife sanctuaries across the state, totaling over 3.2 million acres. These areas were created to protect particularly rich fish and wildlife habitats, and possess outstanding fish and wildlife related recreational opportunities. Most recreational activities do not require a permit, but any land or water use activity, or activities that may impact fish, wildlife, habitats, or existing public uses may require a Special Area Permit. 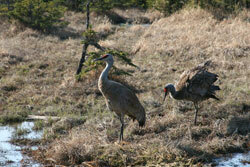 Two state ranges totaling 220,051 acres provide habitat protection for wildlife, primarily moose and bison. While the Alaska Department of Natural Resources remains the primary land manager of these areas, the Alaska Department of Fish and Game manages the wildlife and habitat within the ranges. There are thousands of miles of rivers, lakes and streams in Alaska, many of which support a variety of anadromous (sea run) fish including five species of Pacific salmon, several species of trout, and others. Because of the importance of these fish to Alaska’s economy, lifestyle and environment, these waters receive special protections to assure they continue to support abundant runs of fish. The Alaska Board of Game has designated several Controlled Use Areas around the state that restrict certain methods or means for the harvest of some game species. This federal law places additional protections on some lands managed by federal agencies. The National Oceanic and Atmospheric Administration manages this program which provides some legal protections for natural and/or cultural resources in the marine environment. The U.S. Fish and Wildlife Service and the National Marine Fisheries Service manage federally designated Endangered and Threatened Species. This includes designation of habitat essential for the conservation of the species and which may require special management and protection. 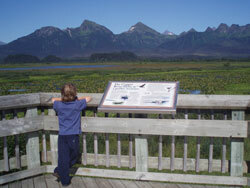 Some of Alaska’s most outstanding wildlife areas have received national and international recognition. While these designations carry no additional land or water protections, they do highlight the importance of the need to protect these areas.